We had originally hoped to have this as a bonus for our Paid Premium members but unfortunately, this plan has been scuppered by a former member who has used his partner's account to log on and download all the files. Perhaps the fact that banned members and other former members constantly purvey our site is proof enough that we are leading knowledge base on CJ Lancers. As the principal author of these files, I have chosen to release them under a Creative Commons license (CC BY-NC-SA 3.0). This license allows free download, sharing clear attribution to origin (i.e. ClubCJ). If you alter, transform, or build upon this work, you may distribute the resulting work only under the same or similar license to this one. No commercial usage. We are however concerned that this former member may attempt to sell these files commercially to other CJ owners and Tuners for financial gain. In an attempt to circumvent this, I am making this announcement to prevent this. Should individuals like a copy of the definition files, these are freely available through me. There are NO charges to these files. Do not pay anyone for this work. Should you wish to make a donation, please make these payable to ClubCJ.net. The ECU Tuning section of these forums will be kept to Premium only. Last edited by ofey on Wed Feb 02, 2011 8:45 am, edited 1 time in total. 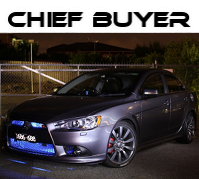 ofey wrote: Today, CCJ has been the first Mitsubishi forum on the internet to release to their Premium members, definition files for the AuDM NA Lancers. Will the former member's partner be banned immediately for allowing his/her account to be used ? That is confidential however the appropriate action has been taken. Oh well to that !! 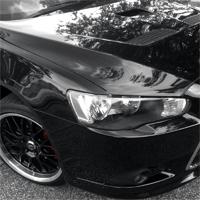 I had hoped that we would be able to provide Premiums a head start on this but eventually in keeping with the practice for def files for the Evo X, be provided freely for Public knowledge. It was an oversight by some of the administration team that this has happened. I hope your statement wasn't born out of sarcasm. Else your intentions would be very questionable. My intents were clear to help the premium membership value. However, note that the new ECU tuning sections of the forum are still PREMIUM only. Progressively, with more contributions from a wide range of members, this will be an invaluable resource to self tuning your NA Lancer. p.s. Blakey may well have toned down but now we have dire. Hail the new stirrer. I was told it was to be for premium members. Not a 'head start', and not publicly released. My statement was born from that. However I understand the nature of these things makes them impossible to keep to a select group of people. ofey wrote: However, note that the new ECU tuning sections of the forum are still PREMIUM only. Progressively, with more contributions from a wide range of members, this will be an invaluable resource to self tuning your NA Lancer. This, I like. There is still premium-only value in whats been done if it stays this way. Should individuals like a copy of the definition files, these are freely available through me. There are NO charges to these files. [b:e11a41af4a]Do not pay anyone for this work[/b:e11a41af4a]. I can't see how to get those files, I tried PM but must not have worked (or I am impatient!). Would you not simply publish them with the post to allow users to get them without the whole manual inefficiency of having to PM someone to get a file for free? toc wrote: [quote:aaf45ef5be=ofey] 54320001 = MY09 4B11 MT .... Should individuals like a copy of the definition files, these are freely available through me. There are NO charges to these files. [b:e11a41af4a]Do not pay anyone for this work[/b:e11a41af4a]. [/quote:aaf45ef5be] I cant see how to get those files, I tried PM but must not have worked (or I am impatient!). Would you not simply publish them with the post to allow users to get them without the whole manual inefficiency of having to PM someone to get a file for free? Any outlook on MY12 NA lancer def files yet?? anyone still have these files? i sent ofey a pm in regards to getting the files listed in the original post but haven't heard back? i was fine with donating to get these files, i don't expect anything for free.. someone put some hard hours into making them! yukbumer wrote: anyone still have these files? i sent ofey a pm in regards to getting the files listed in the original post but haven't heard back? Which one are you after? i was hoping to get all of them, if thats possible? yukbumer wrote: i was hoping to get all of them, if thats possible? Why do you want all of them? Are you a business . If you only have 1 lancer then you will only need that one.